Since the discovery of the C9ORF72 expansion in 2011, researchers have debated whether RNA or protein aggregates do most of the dirty work. Recent evidence from animal and cellular models points to dipeptide repeat proteins as the more toxic entity (see Aug 2014 news; Dec 2014 news; Sep 2015 news; Oct 2017 news). However, some human studies correlate RNA foci, rather than the dipeptides, with TDP-43 pathology, a hallmark of ALS/FTD (see Oct 2013 news; May 2015 news). Some have suggested squelching both RNA and peptides at once by targeting RNA transcription or nuclear export (see Aug 2016 news; Jul 2017 news). 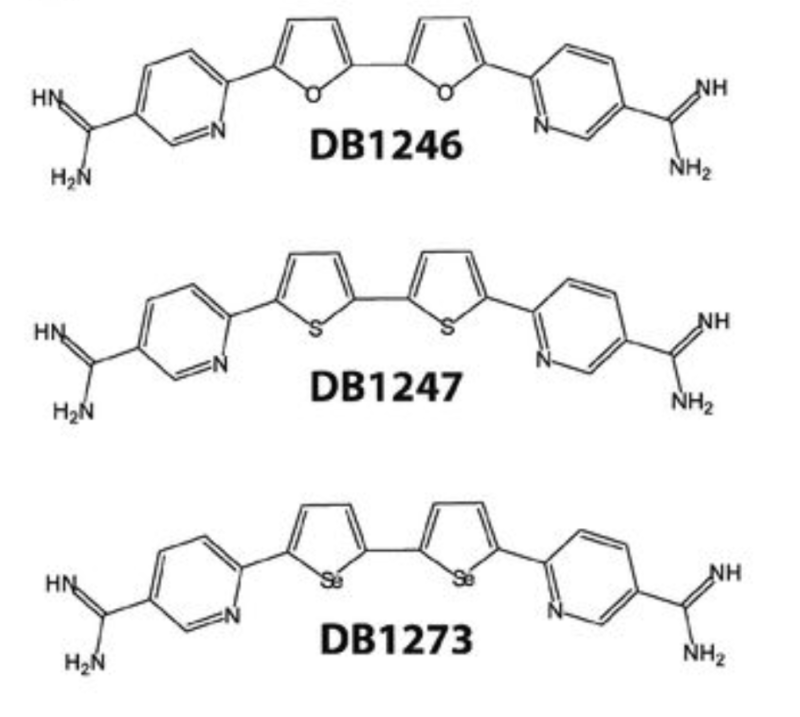 How the stabilizers quell toxicity is not yet known, but Isaacs noted that G-quadruplexes in promoter regions can block translation of RNA (Wolfe et al., 2014). Thus, locking RNA into this structure might directly prevent production of dipeptide repeat proteins. Another study found that potential quadruplex regions tend to stay unfolded in eukaryotic cells, probably due to the presence of helicases and other enzymes that detangle them (Guo and Bartel, 2016). 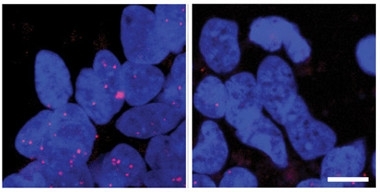 As for reduction of RNA foci, the researchers speculated that physically stabilizing the quadruplex might promote degradation of the expanded RNA by RNases. Simone R, Balendra R, Moens TG, Preza E, Wilson KM, Heslegrave A, Woodling NS, Niccoli T, Gilbert-Jaramillo J, Abdelkarim S, Clayton EL, Clarke M, Konrad MT, Nicoll AJ, Mitchell JS, Calvo A, Chio A, Houlden H, Polke JM, Ismail MA, Stephens CE, Vo T, Farahat AA, Wilson WD, Boykin DW, Zetterberg H, Partridge L, Wray S, Parkinson G, Neidle S, Patani R, Fratta P, Isaacs AM. G-quadruplex-binding small molecules ameliorate C9orf72 FTD/ALS pathology in vitro and in vivo. EMBO Mol Med. 2017 Nov 7; PubMed. Bugaut A, Balasubramanian S. 5′-UTR RNA G-quadruplexes: translation regulation and targeting. Nucleic Acids Res. 2012 Jun;40(11):4727-41. Epub 2012 Feb 20 PubMed.